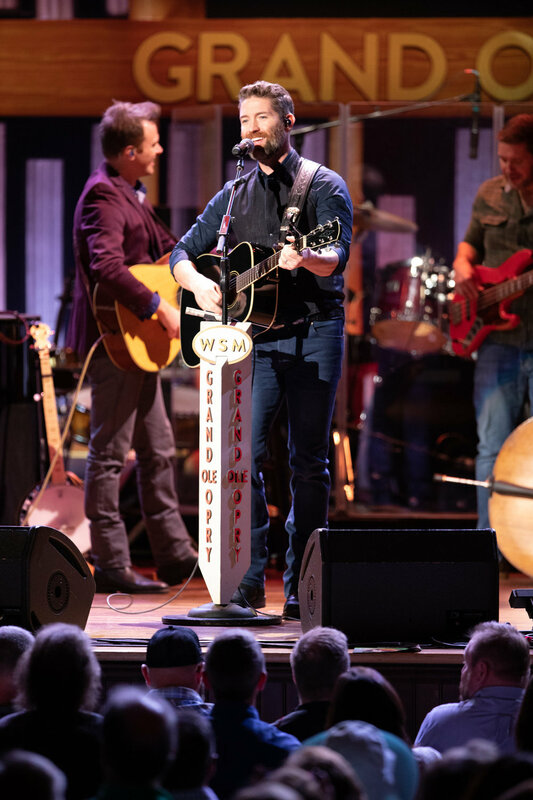 Nashville, Tenn. (Nov. 8, 2018) – Multi-platinum-selling Josh Turner made his way back to Nashville's historic Ryman Auditorium on Tuesday Night for back-to-back Opry performances, and was received with an enthusiastic warm welcome. Having just released his critically acclaimed I Serve A Savior, which earned debut placements across multiple charts, including No. 1 on Nielsen's Country Albums Chart and No. 2 on both Billboard’s Top Country Albums Chart and Top Christian Albums Chart, the Grand Ole Opry member performed songs off his latest project. Turner was joined on stage by gospel's Sonya Issacs and bluegrass legend Bobby Osborne. With his latest, I Serve A Savior, Turner adds an exciting new dimension to his already acclaimed career, earning debut placements across multiple charts, including No. 1 on Nielsen's Country Albums Chart and No. 2 on both Billboard’s Top Country Albums Chart and Top Christian Albums Chart.